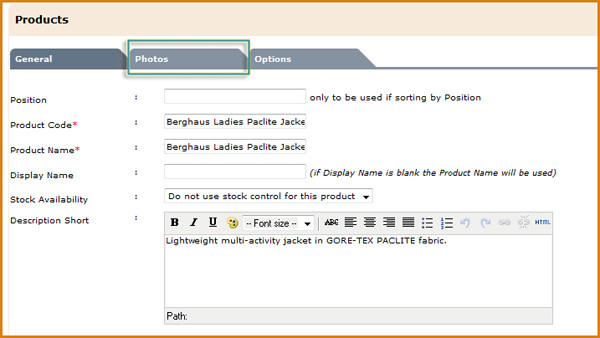 You can add photos to a product to be displayed in the product’s Image Gallery. 1. Click on Website and then on eShop Manager. 2. Click on View to open your list of products. 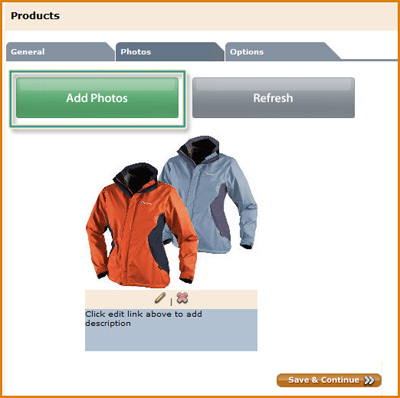 Click on a product and then click the Photos tab. 3. Click on Add Photos. A pop-up window will open. 4. 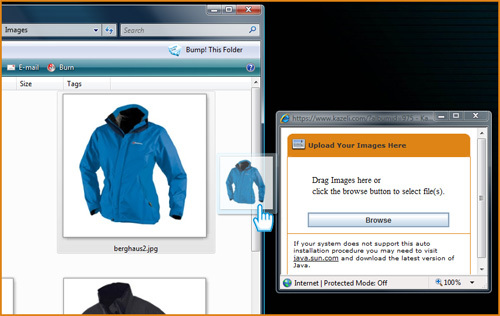 In the new window, click Browse to search your computer for images to upload, or simply locate the file on your computer and drag it into the box. You can select multiple files at a time to drag into the box. 5. When your images have finished uploading, close the upload window. 6. Click Refresh to view your uploaded images.